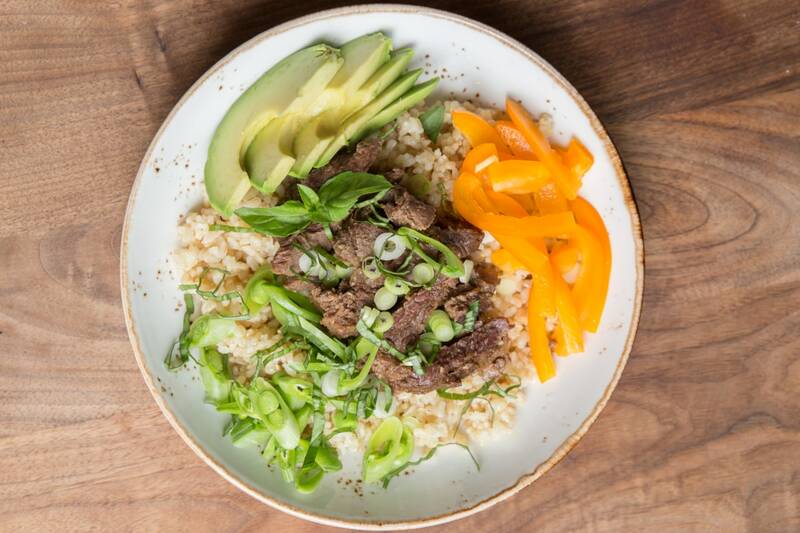 "Bowls" are *all* the rage these days - everything from elaborate poke bowls to health-driven quinoa bowls are on practically every popular menu in the US right now. I wrote a primer on how to make beautiful, flavorful bowls at home here, and now I dive a little deeper, teaching you how to take a few simple ingredients from Trader Joe's, and transform them into a beautiful, restaurant-worthy lunch or dinner. 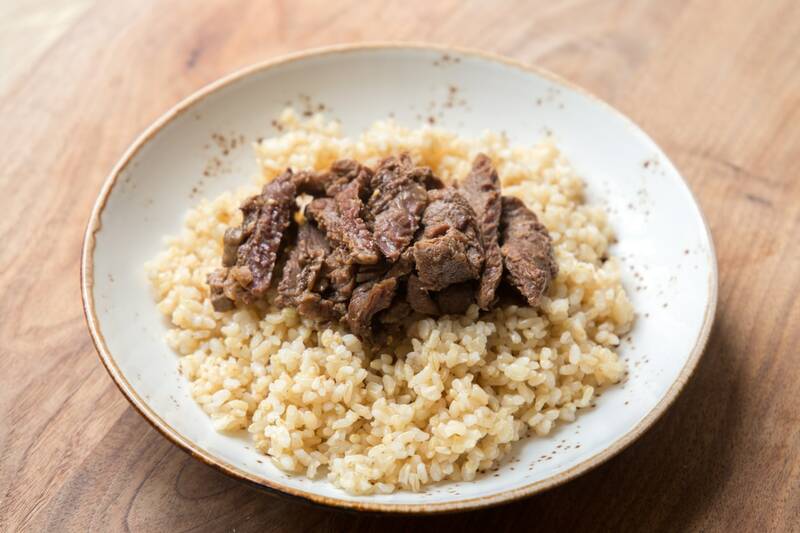 The Trader Joe's "Bool Kogi" (translates to: "fire meat") are thinly cut beef short ribs, marinated in a sesame-soy marinade. They cost $9.99, a fair price for a couple pounds of beef that has been pre-marinated for you. I first tried cooking the short ribs on the grill, so that I would have a comparison to how most people will be cooking them vs. how they come out after being cooked in the MultiPot. On the grill, I liked that they charred up nicely, and cooked incredibly quickly (as in - 3 minutes total). However, I found them rather chew-y and tough. 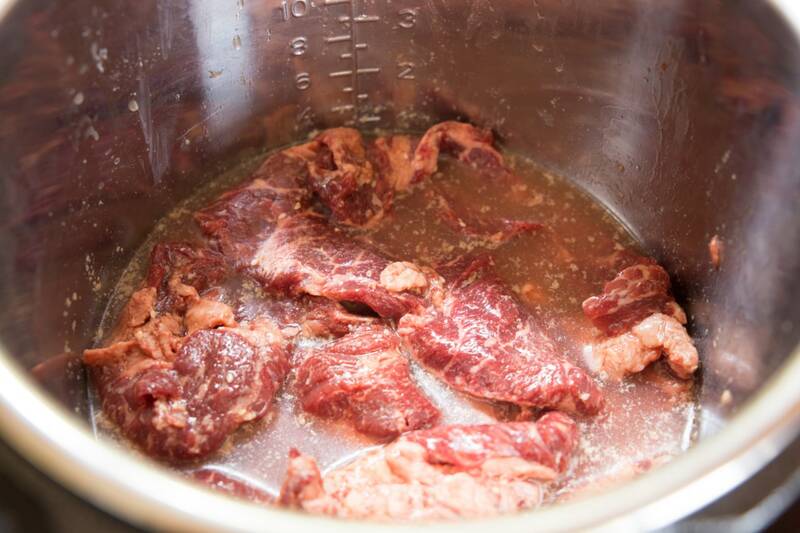 In the MultiPot, however, the beef ribs became melt-in-your-mouth tender, moist, and succulent. The sesame-soy flavors were a lot more present since the beef actually pressure cooked in it's own marinade. 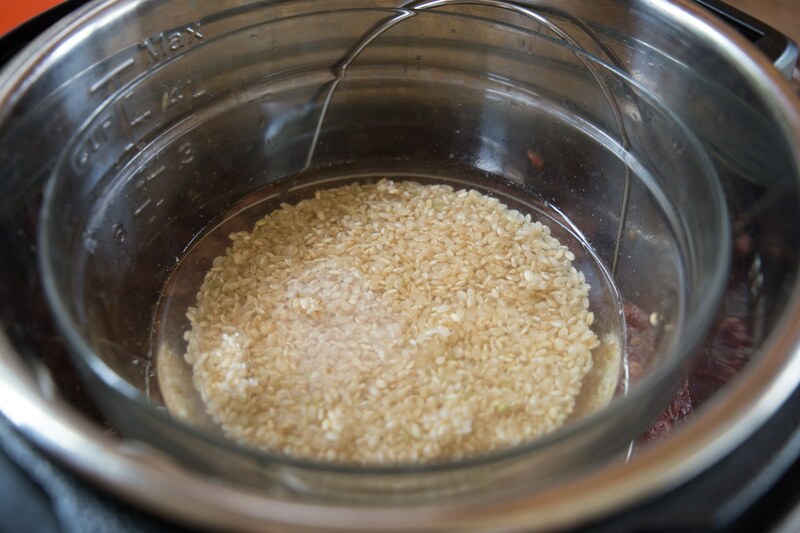 Using the method below, you can cook your rice and beef all at the same time in the MultiPot. All of the other toppings are raw, so no more dirty dishes or cooking time is required. Pretty sweet deal for a dinner that comes out looking this beautiful right? 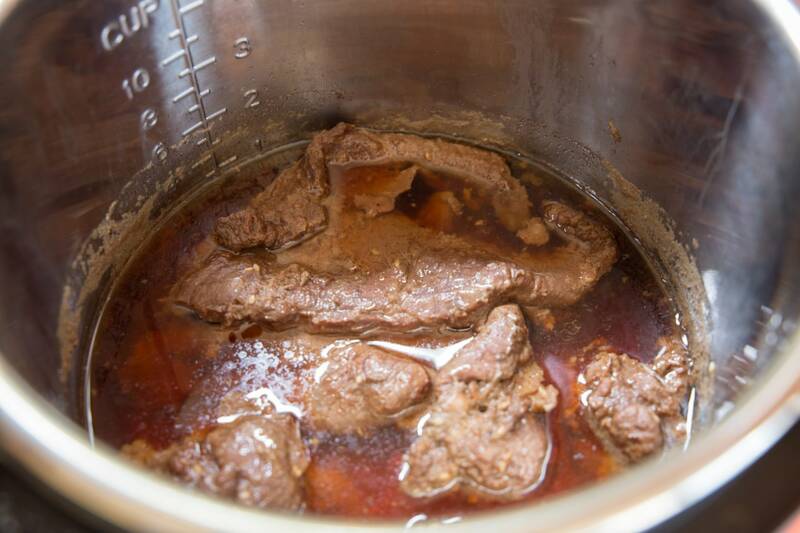 First, remove the bool kogi from the package and transfer the meat to the inner pot of your pressure cooker. Pour in the chicken stock. 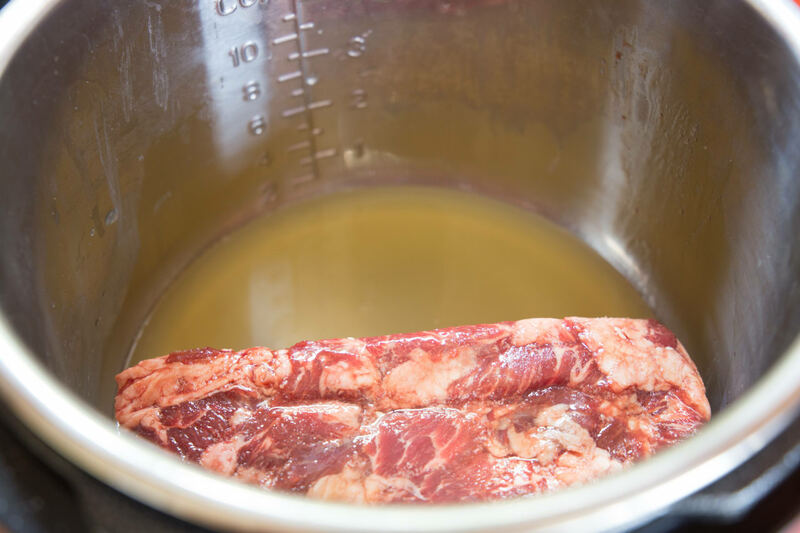 Use forks or clean hands to pull the short ribs apart and flatten them out into thin strips. 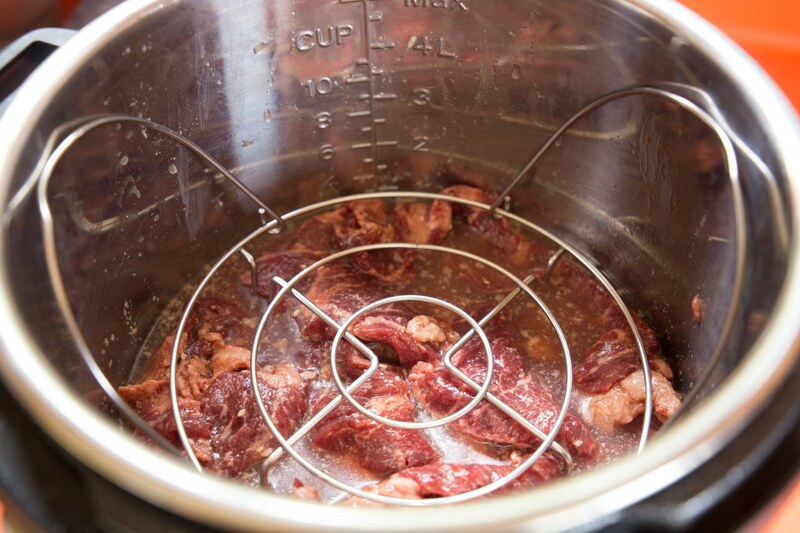 Place a trivet over top of the beef, so that the legs of the trivet hit the pot below, not the beef. This trivet comes included with the Mealthy MultiPot. 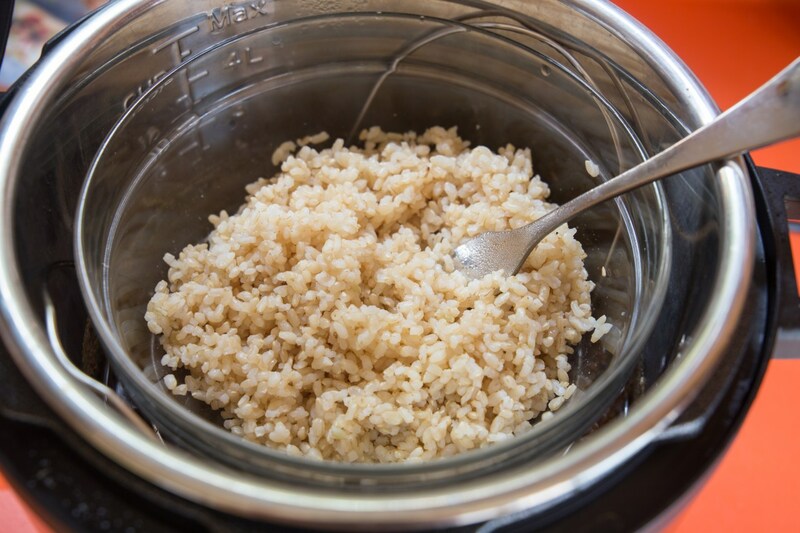 In a small, heatproof bowl, combine 1 cup brown rice and 1 cup water. Stir together and season with a bit of salt. Seal pressure cooker lid and turn steam valve to "Sealing". Pressure cook on High for 28 minutes, then allow the pressure to completely release naturally. Fluff the brown rice with a fork, then transfer it to a countertop. 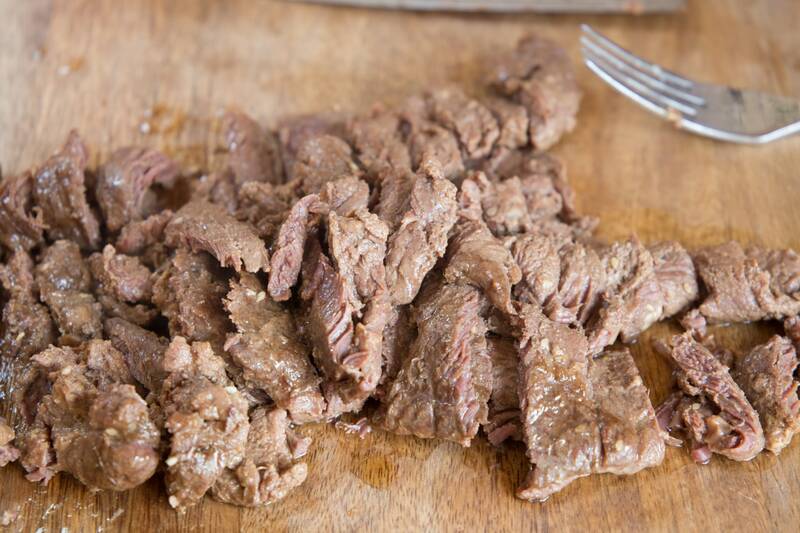 Reveal that beautifully tender beef! 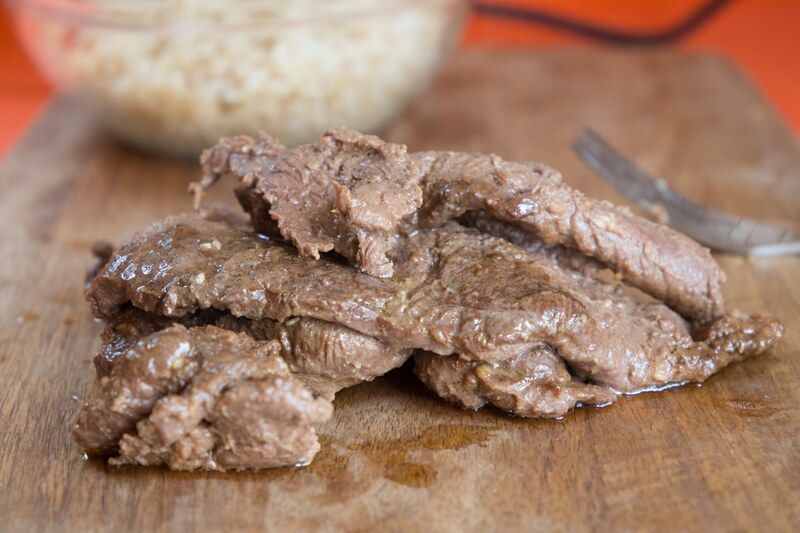 Transfer the beef to a cutting board. It's so tender that you could shred it, but I wanted big chunks for this bowl, so I just took my chef's knife and roughly chopped it into bite-sized pieces. Divide the rice and beef between 4 bowls. 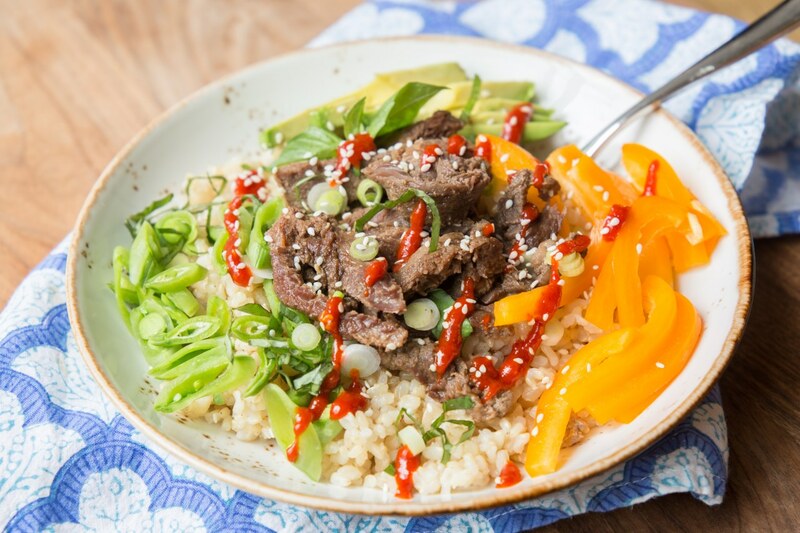 And then added a drizzle of gochujang (Korean hot sauce - you could also use sriracha!) and some sesame seeds. Do your thing and come up with your own favorite combinations!